One of the hardest things about caring for my mother-in-law before she passed was her decreasing appetite. We here at Dirty Dish Club take pride in our kitchen skills, but there were days when even the most tantalizing dishes could not entice her. On those days, there was only one thing to do – make these soft ginger cookies. No matter how rotten she was feeling from the side effects of the cancer and her medications, she could always perk up for one or two of these. These cookies are just that good. 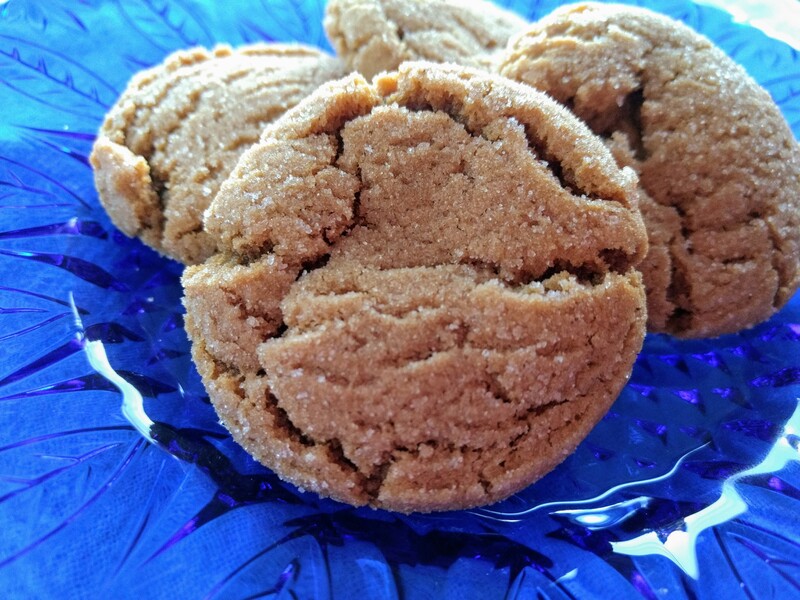 Unlike their cousin, the gingersnap, these cookies are soft and practically melt in your mouth. They are made with 100% butter, but have the tenderness of ones made with shortening. 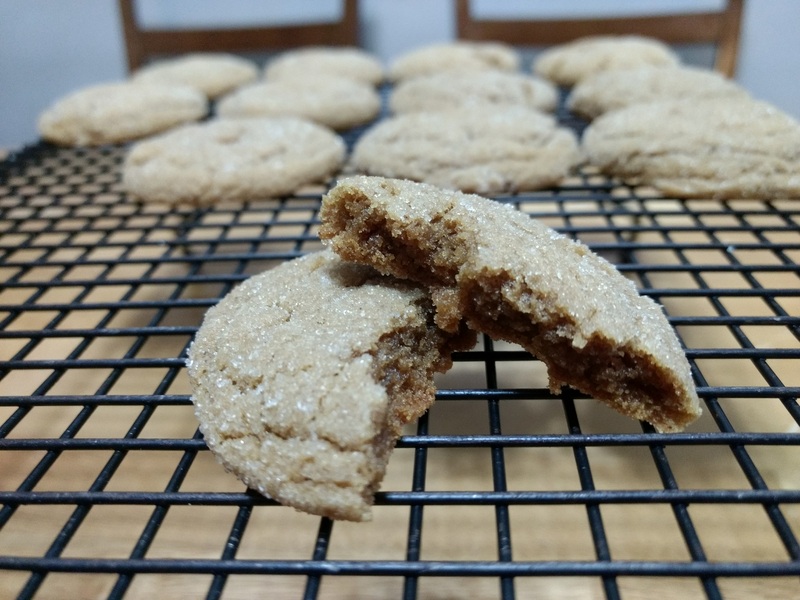 Their gingery molasses flavor makes them perfect for the Christmas season. Cuddle up with a plateful and a glass of eggnog or a mug of steamed milk for the perfect cozy moment. We’ll be doing just that this week as we remember a wonderful woman who loved ginger cookies. 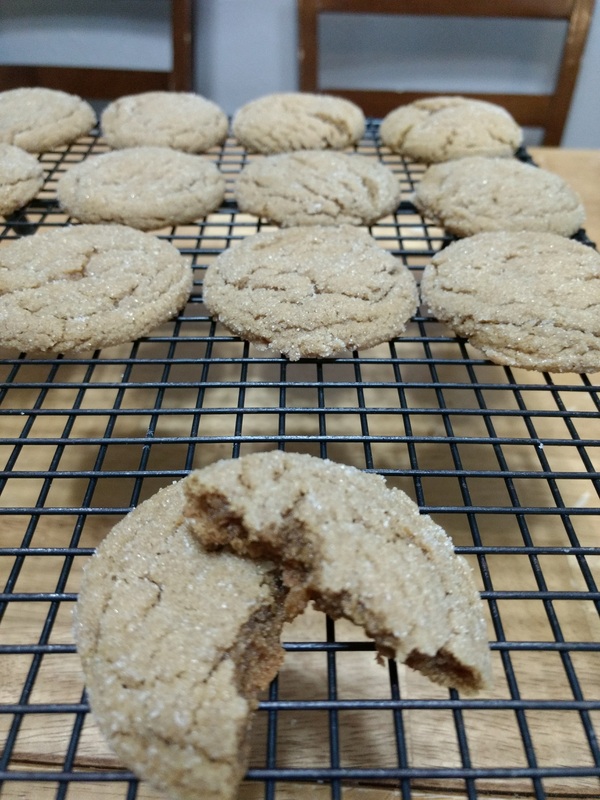 A soft ginger cookie made with all butter. Preheat oven to 350° F. In a medium bowl, stir together flour, ginger, baking soda, cinnamon cloves, and salt. Set aside. In a stand mixer (or large bowl) beat the butter so it spreads around the bowl. Add the cup of sugar and beat until you can't see the sugar granules, but you can still feel them with your fingers. (About 1 minute.) Add the egg and molasses. Add the flour mixture to the bowl a little at a time until everything is just mixed together. Bake the cookies for 8-10 minutes. They should be puffy and light brown. (I always err on the side of not quite looking done since the cookie will continue to cook a little after being pulled from the oven.) Remove from the oven and allow to cool on the pan for 2-3 minutes before removing from the pan. In loving memory of Glenna.